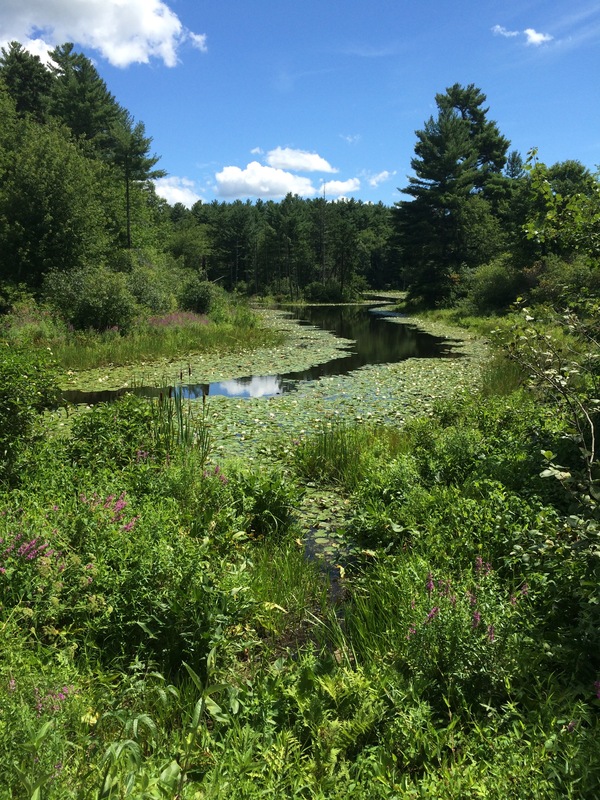 Yesterday was one of those picture perfect summer days in New England. How better to celebrate than out riding? After last winter I’m not complaining about the heat, but we had a stretch of hot, sticky weather that made riding uncomfortable. 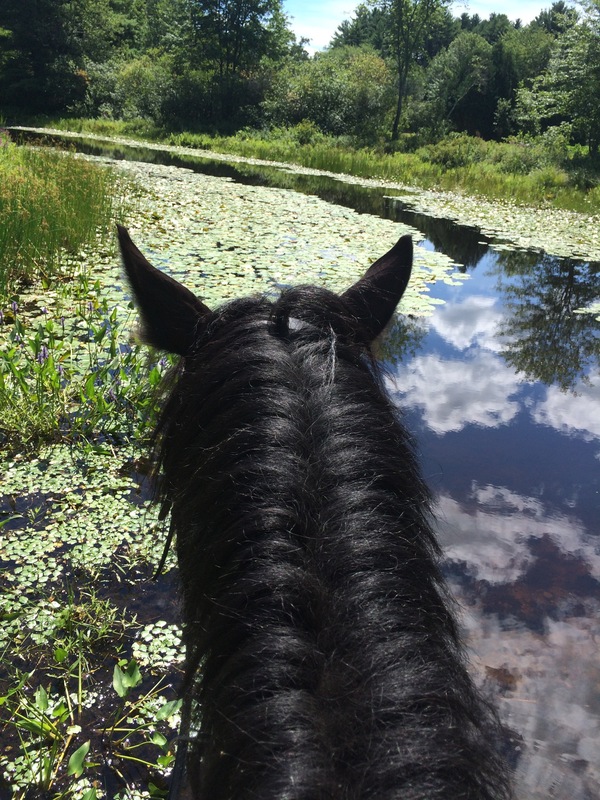 Between the humidity and the deerflies, the safest option was to hose off the horses and find air conditioning. Yesterday, we had one of those magical summer days where it was warm, sunny and dry! I celebrated by trailering over to a nearby state park and riding with a friend. It was perfect. Not even the bugs were bad! Zelda was excited to get off property and was really hoping that we were hunting. It’s funny how much the horses associate trailer rides with hunts. She looked very carefully for the hounds but ultimately had to make do with her new friend Cassel. 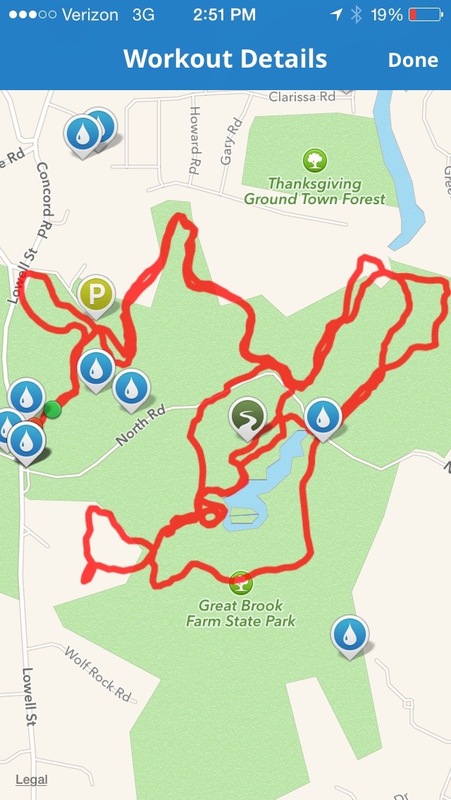 Great Brook Farm State park has lovely equestrian trails and even has cross country fences. It’s only about 20 minutes from my barn. We rode about nine miles in two hours and had a lovely time. Of course Zelda got a bit more exercise than that . . . but I’ll cover that in another post. We were able to jump a few fences and get some gallops in — we also ran across a camp group of seven and eight year olds. I don’t think many (if any) of them had been up close and personal with a horse before and they were delighted when we invited them to come up and pat the horses. We were surrounded by about 15 kids all wearing bright yellow shirts who asked a million questions about the horses. The easiest one? One boy asked if riding a horse was fun! Luckily it was at the end of the ride so Zelda was just fine with standing still and being worshipped. What a beautiful place this is! You could be anywhere in New England, but you wouldn’t expect to be so close to Boston. How much fun is a horse’s tail? Sounds lovely! What a great park for riding. Had a few nice days in Pennsylvania too. Let it stay this way the rest of summer.